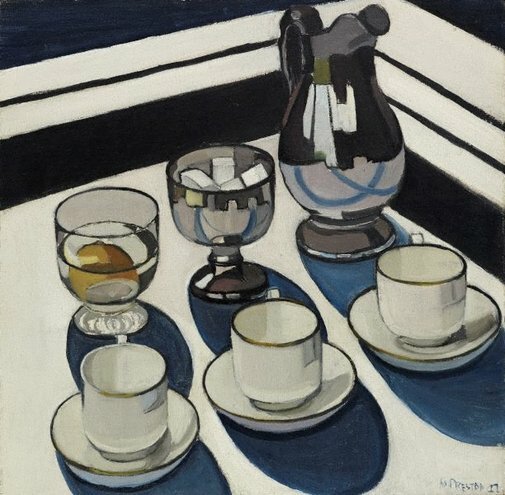 'Implement blue' is one of Margaret Preston's most innovative works, embodying the values of progressive, modern living. Its restricted palette and strict analysis of form exemplify Preston's quest to isolate and resolve pictorial problems within the still-life genre. The domestic vessels have been renamed 'implements' and reduced to essential forms. Signed and dated l.r. corner, blue oil "M.PRESTON/ 27".